WASHINGTON, D.C. – August 6, 2015 – (RealEstateRama) — Builder confidence in the single-family 55+ housing market remains in positive territory for the second quarter of 2015 with a reading of 57, according to the National Association of Home Builders’ (NAHB) 55+ Housing Market Index (HMI) released today. Despite the one-point dip from the previous quarter, this is the fifth consecutive quarter with a reading above 50. There are separate 55+ HMIs for two segments of the 55+ housing market: single-family homes and multifamily condominiums. Each 55+ HMI measures builder sentiment based on a survey that asks if current sales, prospective buyer traffic and anticipated six-month sales for that market are good, fair or poor (high, average or low for traffic). An index number above 50 indicates that more builders view conditions as good than poor. Two of the three components of the 55+ single-family HMI posted slight decreases from the previous quarter: present sales decreased two points to 62 and expected sales for the next six months dipped one point to 66, while traffic of prospective buyers increased three points to 43. The 55+ multifamily condo HMI rose five points to 43, with all three components showing increases as well: present sales rose three points to 44, expected sales for the next six months jumped 10 points to 49 and traffic of prospective buyers increased eight points to 41. All four indices tracking production and demand of 55+ multifamily rentals declined in the second quarter. Present production decreased 12 points to 46, expected future production fell three points to 49, current demand for existing units declined nine points to 59 and future demand dipped one point to 63. “Overall, builders in the 55+ housing sector remain positive about the market,” said NAHB Chief Economist David Crowe. 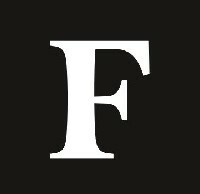 “However, many builders are being cautious as lot availability and skilled labor shortages remain a challenge in some parts of the country. 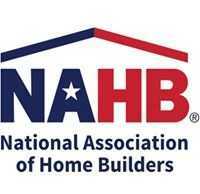 For the full 55+ HMI tables, please visit nahb.org/55hmi.